Just in time for SUMMER FUN!!!!! With such a title I bet you’re wondering why you’re seeing at a bunch of framed birds minus the sea gulls. Well you happen to be looking at my latest thrift store score! I found these three framed and matted prints for just $4.00 each. (If you can see the green stickered price, it does say $8 but green stickers were 50% off this week so hence the $4 each.) 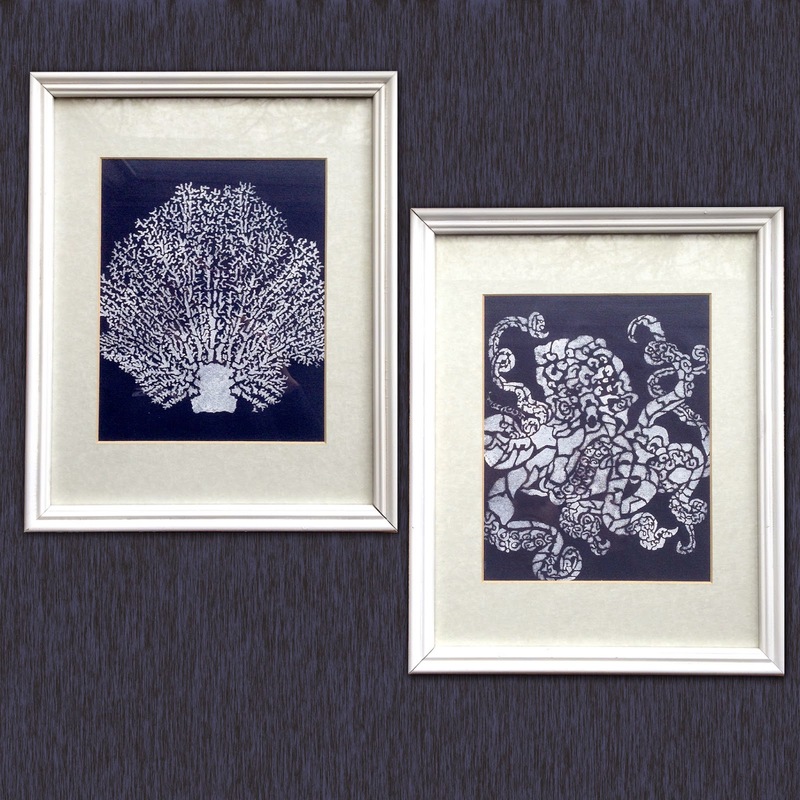 I’ve been looking for a reasonable way to frame prints of my latest sea stencils (now that’s where the title of this post came from!) Sure one can go straight to the craft store and find frames, but I much prefer a less expensive alternative along with the sheer thrill of the transformation. Don’t worry these frames will NOT be staying faux turquoise plus gold for long. For this project, I simply stenciled with white fabric paint on the navy twill. 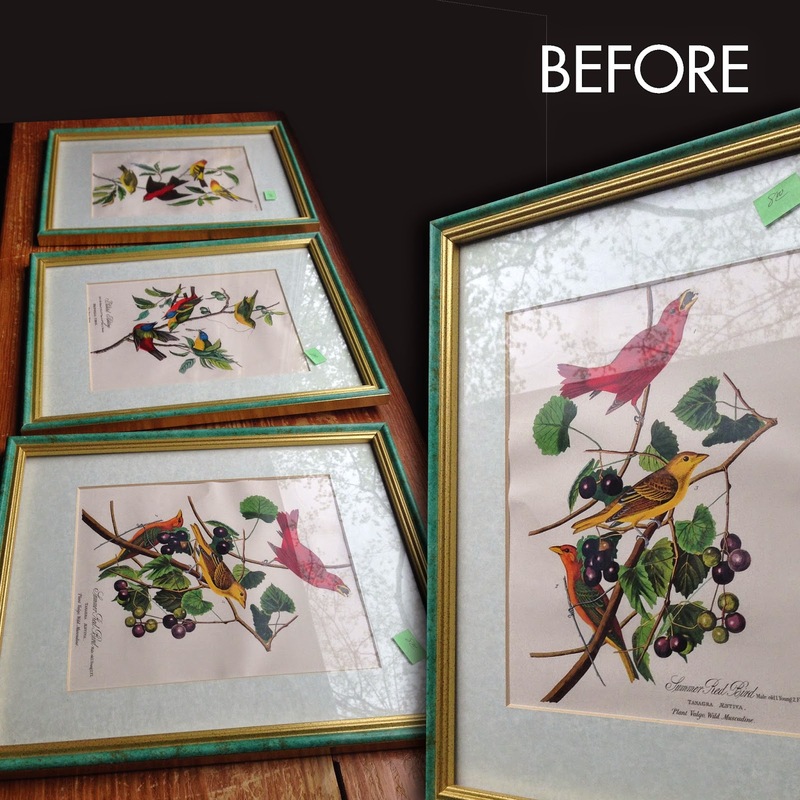 While the fabric dried, I took apart the thrift store frames and sprayed painted them with a white gloss paint. 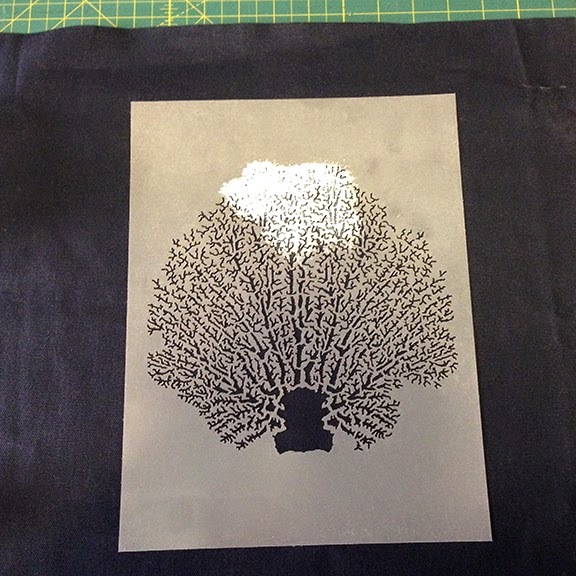 After the fabric dried, I cut fabric the same size as the matte while I centered the image. 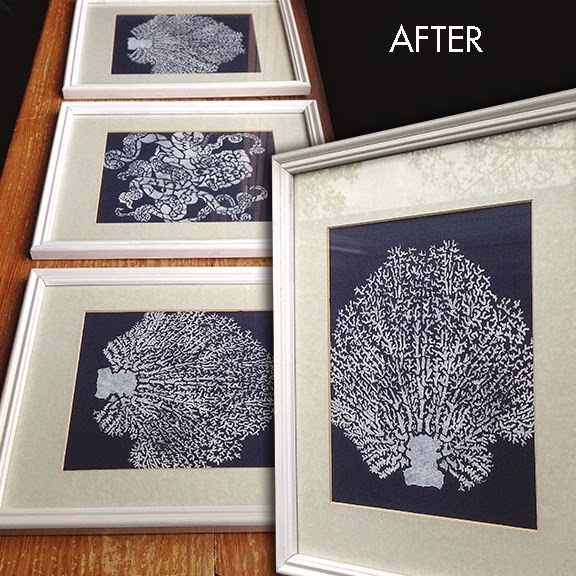 Then I popped the fabric into the painted frames for an entirely fresh look. Here is the official after. I am so pleased with how these turned out. I hung them right here above my bed. Say hello Jasper! He is such a ham. He jumped right into the frame before I could snap the picture and posed as so. Pretending he’s been laying there for hours all natural like. 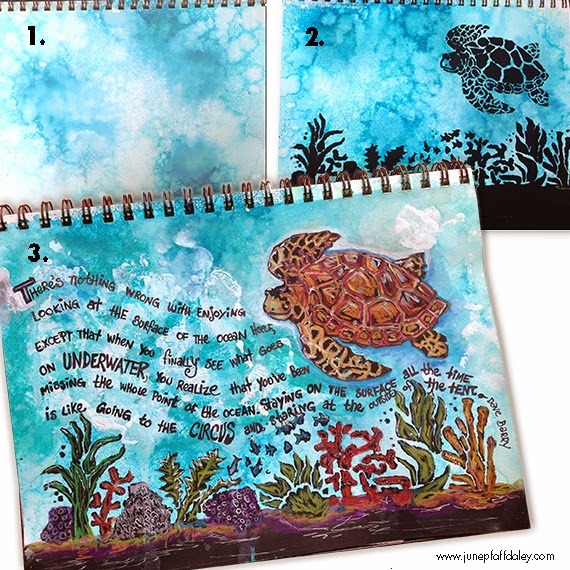 1) Spray entire page with Dylusions Campso Teal ink spray. Add some drops of water to get more effects. 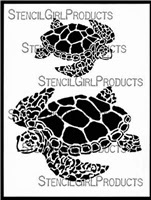 2) Stencil Sea Turtle and Ocean Floor with black acrylic paint. Let dry. 3) Use watercolor pencil on top of the black to add color and depth. Add quote. I hope you enjoyed a peek inside my home and journal! June, I *Love* this project, so simple yet beautiful. And they are perfect above your bed. 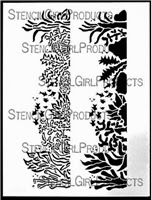 I love these stencils... can't wait to get them and play! What you did with the frames is just beautiful... so simple and elegant. (And your dog is adorable!) And I love your art journal page too... great quote, beautiful page! Thanks so much Gwen! I'm a big fan of your projects as well! 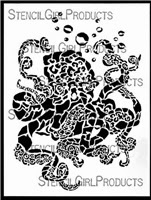 How lovely your black and white pictures are, great stencils. What a great idea. Fantastic! 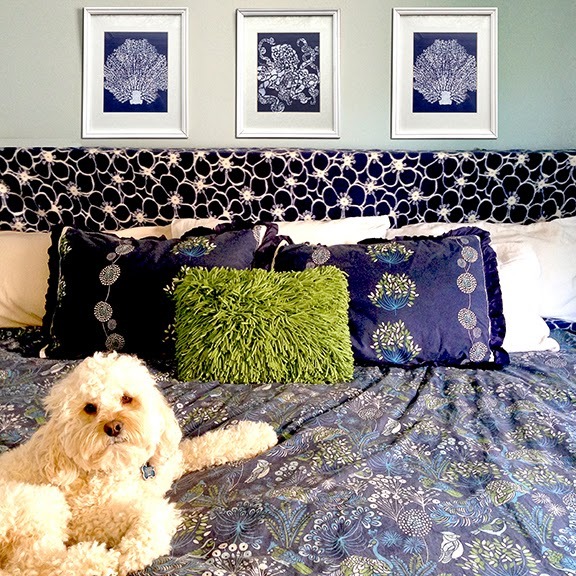 These are just beautiful and I agree with Gwen - those framed pieces are just stunning. I love the simplicity of the black and white pieces. The journal page is wonderful. 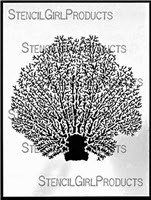 Can't wait to play with these stencils. Thanks ladies! I'd love to see what you create!